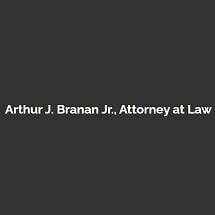 I am attorney Arthur J. Branan Jr. From my office in Alexandria, Louisiana, I represent injured workers who are seeking Social Security Disability (SSD) benefits. I also help people seeking Supplemental Security Income (SSI). When your SSD claim has been denied, this is when I can step in and help. Please do not hesitate to contact my law office to schedule a free consultation. If you have applied for SSD benefits and received a letter of denial, you should talk to a lawyer about pursuing an appeal. A denied claim may be discouraging, but pursuing an appeal may be your best option. Many initial claims are denied — even when a disability is legitimate and impacts an individual's ability to work. It costs nothing to sit down with me to talk about your injury or disability. During your free consultation, I will listen to your story and advise you on your legal options. I can help you determine if an appeal is appropriate in your situation, and if so, help you through the legal process. Additionally, if you have questions about completing your initial application, I can answer those.